Five block linocut, edition of 200. 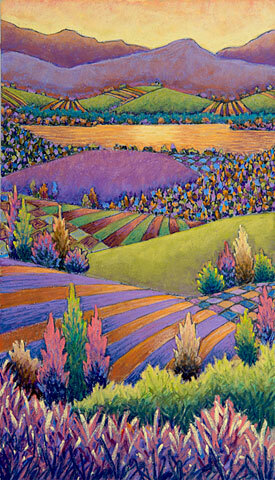 Daryl V. Storrs Artworks, Ltd.
My work is a reflection of the landscape I experience every day. 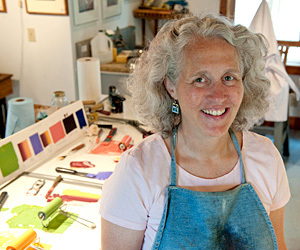 Furrowed fields, local farms, Lake Champlain, and the Adirondacks are just a few places I draw on a regular basis. 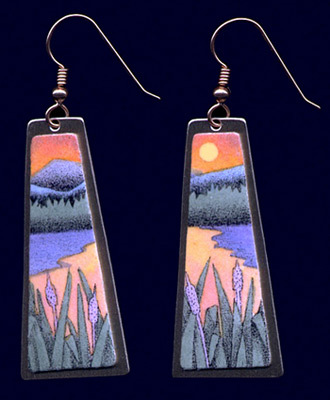 These vistas become one-of-a-kind pastels,block prints,and handpainted lithographic jewelry. Whether it’s a large framed wall piece or a one inch circular pin, I strive to communicate the beauty of the natural landscape.